Our Conservation Journey: Polar Bears takes you deep into the heart of polar bear country, the Churchill Wildlife Management Area (CWMA), where the most studied population of polar bears in the world are found during the autumn months preceding the Hudson Bay freeze-up. This adventure includes an Interpretive Guide and a maximum of 20 people on each Tundra Buggy. Frontiers North Adventures’ Tundra Buggy Lodge is our base for the adventure, which includes three full-days on the tundra, and a behind-the-scenes glimpse of Buggy One, a mobile broadcast and research station that also serves as operation central for the live polar bear cams operated by Polar Bears International, explore.org and Frontiers North Adventures. Evenings are spent on the Tundra Buggy Lodge, where you will learn about polar bear habitat and species conservation awareness from PBI researchers and scientists, including PBI's Chief Scientist Dr. Steven Amstrup. You will return home with valuable information about how climate change is impacting polar bear habitat, along with valuable wildlife experience from the frozen Hudson Bay coast. Join us to see first-hand the work we’re doing and learn how you too can help preserve polar bear habitat. Dr. Steven Amstrup has worked tirelessly for more than 30 years to discover the wonders of polar bears. 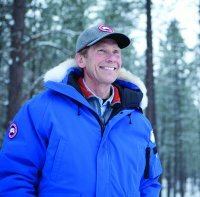 Among his long list of accomplishments, he led a team that contributed to the U.S. Secretary of the Interior listing of polar bears as a threatened species, is a longtime member and past chairman of the IUCN Polar Bear Specialist Group, and in 2012 was selected as the recipient of the prestigious Indianapolis Prize. 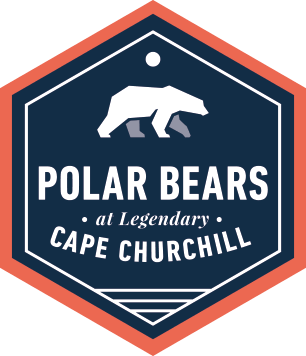 A portion of the proceeds of this trip will be provided to Polar Bears International in support of their programs and conservation efforts. Enthusiast Level: This is our most well-rounded level of departure, with a mixture of cultural and wildlife adventures with fewer people. Maximum 20 guests per Tundra Buggy with a total of 40 people at the lodge. This level of tour is led by a professional Interpretive Guide and offers guests the ability to focus on their adventures - we'll take care of the little details. This one-of-a-kind journey combines education with adventure and provides you the amazing experience of travelling to Hudson Bay with leading polar bear scientists. I flew into Winnipeg today and I am so excited to go to the Tundra Buggy Lodge on Conservation Journey: Polar Bears! My home for the night is the Four Points by Sheraton Hotel, which is just across the street from the Winnipeg airport. After checking in, I head to an evening meet and greet held by our Frontiers North Interpretive Guide where our group has the chance to ask last minute questions and learn more about what our adventure holds! 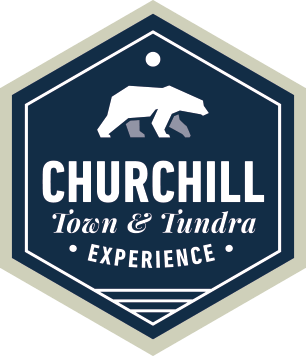 After the museum, we head over to the Parks Canada Visitor Centre, which has in-depth displays that reveal the remarkable history of Churchill through wildlife dioramas and exhibits that portray the history of the fur trade in the area. In the evening we enjoy a wonderful dinner and a relaxing night in our hotel. After breakfast, our first excursion of the day is a dog sledding program with local dog musher Dave Daley of Wapusk Adventures. Dave regales us with his incredible dog sledding stories, introduces us to his dog pack and then takes each of the group on a mile-long dog sled ride through the boreal forest. Then we head back to town for lunch and some time to explore the town’s gift shops. In the late afternoon we board the Frontiers North bus and head out to the Tundra Buggy Dock for our trip out to the Tundra Buggy Lodge in the CWMA. It’s our first chance to see the incredible landscape of the North and it is absolutely breath-taking. As the light begins to fade, we see the Tundra Buggy Lodge in the distance – it’ almost as if we’re approaching an isolated space station in the middle of nowhere. As we board the lodge the feeling of isolation disappears. The welcoming staff greets us warmly and we are treated to an incredible home cooked meal before settling in to our new home on the tundra. After waking up in our comfortable accommodations, we gather for a hearty breakfast before boarding the Tundra Buggy in time for first light. We set out to explore the CWMA, in search of polar bears, arctic fox, ptarmigans and other incredible wildlife. Our amazing Tundra Buggy Driver and Interpretive Guide teach us about the history and importance of the northern landscape. Midday we enjoy a picnic style lunch packed just for us by the lodge chef. At the end of the day, we return to the Tundra Buggy Lodge in time for a delicious meal and a chance to relax in the lounge getting to know fellow travellers and PBI staff. It's another great day to see some polar bears on the Tundra Buggy! We start our day travelling more inland than yesterday, hoping to see a mom and cub that were seen in the area yesterday. Our Tundra Buggy Driver is in constant contact with other Tundra Buggies in the area to share sightings, so we always know where other bears have been seen. Today on our Tundra Buggy we were joined by Polar Bears International scientist Dr. Steve Amstrup, a well known polar bear researcher with over 3 decades of experience in the field. Dr. Amstrup's presentation is very informative and we get to see up close polar bear fur, claws and even a skull (not a real skull though, just a replica). It is a great opportunity for us travellers to ask questions about polar bears and to get some insight into how climate change is affecting the arctic sea ice. Today is our last day on the Tundra Buggy and we excitedly set out right away to search for polar bears. It is another great day on the tundra, full of extraordinary wildlife and many chances to get great photos. It’s been a successful day and our entire group celebrates our amazing luck to have been able to see polar bears in the wild. As our day comes to an end, so does our time in Churchill. We are transferred back to the Churchill airport for our return flight to Winnipeg. When we arrive in Winnipeg we check back in to the Four Points by Sheraton Hotel. The night is ours to do as we wish, which gives me a lot of time to look over all the photos I took! What an amazing experience I've had this past week. Not only did I get to see Canada's incredible polar bears, but I also got to learn about these amazing creatures from scientists and researchers who have dedicated their lives to helping save the species. It's wonderful knowing that some of what I paid for my tour will be donated directly to Polar Bear International and their work to save polar bear habitat. Knowing now how every choice I make affects our world, I will definitely be making some changes at home to ensure I'm living as green as possible.